An Israeli court has rejected an appeal for an open hearing by iconic Palestinian teen activist Ahed Tamimi, who was arrested for striking IDF soldiers. Her lawyer claims the decision will deprive her of a fair trial. 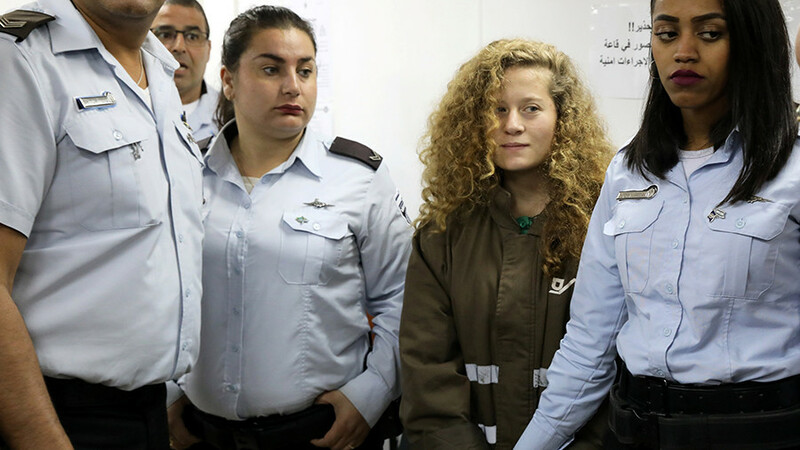 Although military prosecution didn’t object to an open trial for Tamimi, the court decided on Monday to hold the legal proceedings behind closed doors. It said that the decision would benefit Tamimi. Citing “the accumulated experience” of past years, Col. Netanel Benishu explained that “a basic component of conducting fair and just proceedings” is when minors and their families can deliver their arguments in “an intimate framework.” Closed trials, he added, “expresses the best interests” of minor defendants. However, Lasky argued that this is not always the case, given that her parents had requested Tamimi’s trial to be held in public. 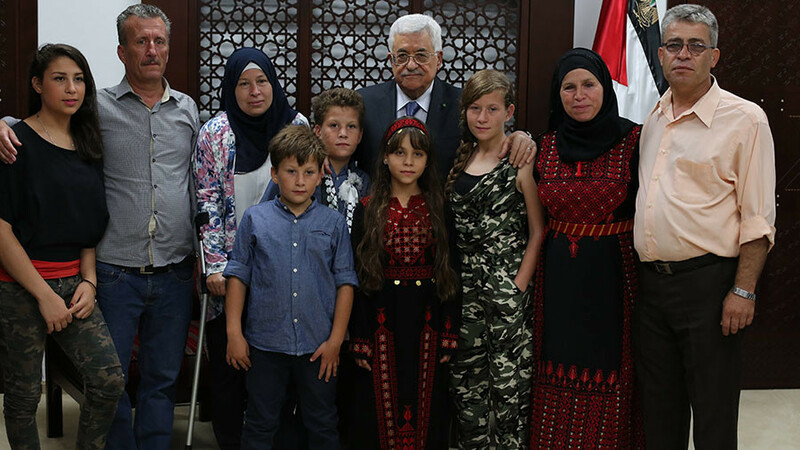 “The military court has realized that their policy of detaining children is causing international embarrassment,” Fadi Quran, senior campaigner at civic organization Avaaz and coordinator of the Free The Tamimis campaign, told Mondoweiss. “It is hypocritical now to claim they want to protect her privacy when they have already violated it hundreds of times,” he said. 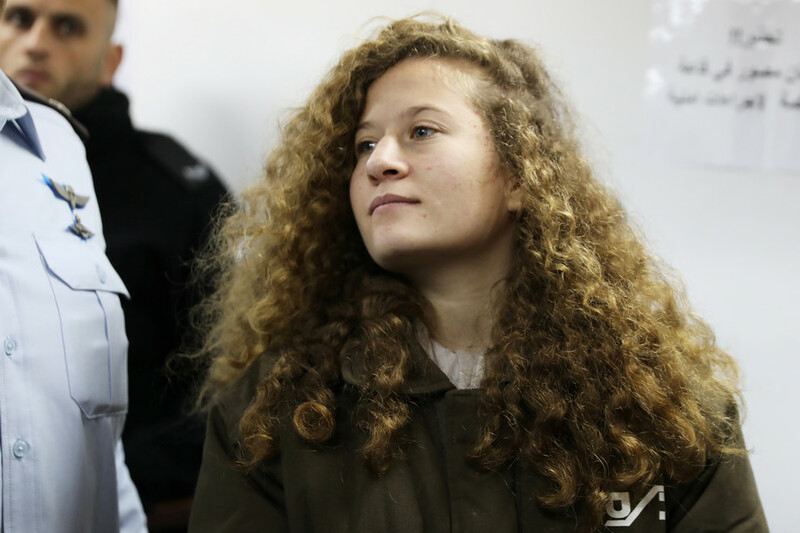 “By having diplomats and media witness this kangaroo trial, it would help ensure that they wouldn’t punish Ahed too severely,” Quran added. 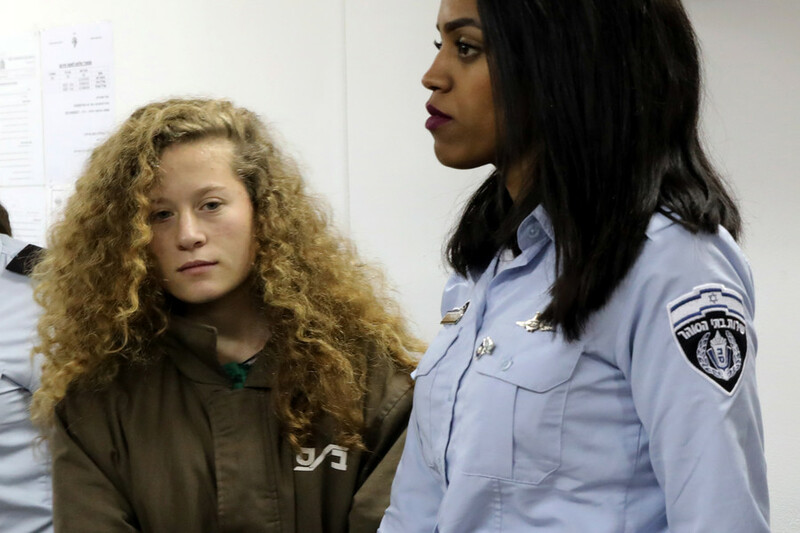 Arrested four months ago, the teenager was indicted with aggravated assault after a video emerged of Ahed, along with her cousin and mother, confronting the IDF soldiers. 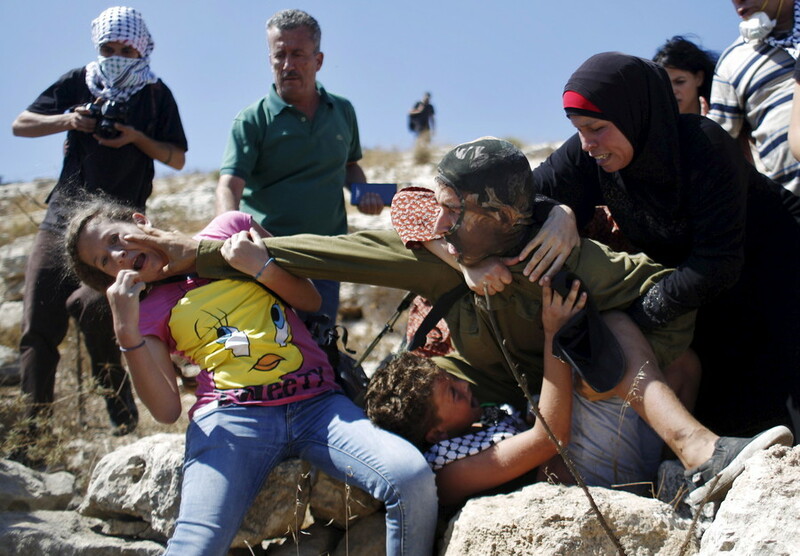 The footage shows women pushing and kicking the soldiers in the village of Nabi Saleh in the West Bank. Two years prior to the incident, Tamimi was also filmed biting and slapping an Israeli soldier. 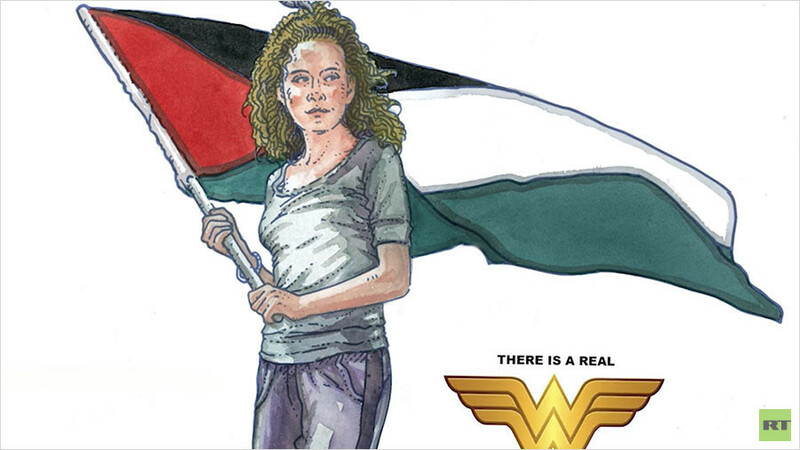 While critics accuse her family of using Ahed as a pawn in staged anti-Israeli activities, Palestinians and supporters praise the teen as a symbol of resistance to the illegal occupation of the West Bank, comparing her to a modern Joan of Arc.